Feathers, Fur and Scales - Using real animal textures (feathers, fur, scales, etc.) to create a mural or mosaic. Fairy Stories and Theater - Exposing students to theater art forms and storytelling techniques, so they can act out whimsical and magical stories. 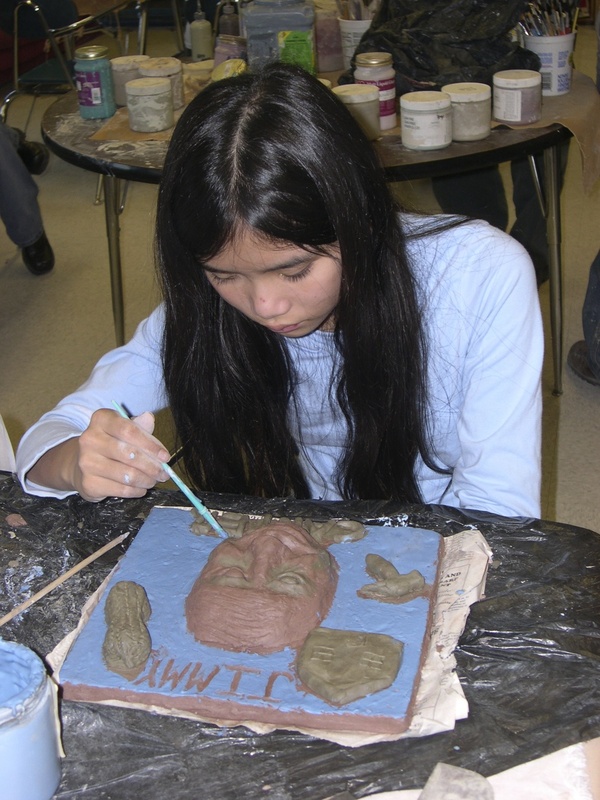 Native Clay into Art - Creating a piece of art, using local clay. Images of Nature - printmaking, using materials from nature. Dramatic Weather - drama presentations integrating meteorology and weather reporting. Nature’s Notes - Students will write and perform songs using the scientific concepts of how organisms react/interact in nature. They will use instruments made of natural objects for accompaniment. Making Connections with Baskets - integrating math, science, history and storytelling. Rural Maine arts of the 19th-20th century - how Maine’s natural resources determined the arts and crafts of the times. Students will explore, felting, stenciling, fly tying, fly casting, knitting and spinning. Sound Bytes - The theme of these students’ computer-written works would be “The Nature of Art” and incorporate, or be modeled from, sounds of nature. Learning the concepts of nutrition and health through the music and humor of John Burstein (Slim Goodbody), 1-2 weeks in December, with performance for K-4 grades. Clowning as an art form. Writing humorous stories and presenting them with Noah Starr. “Humor Me” -Playwriting with Daniel Sklar. 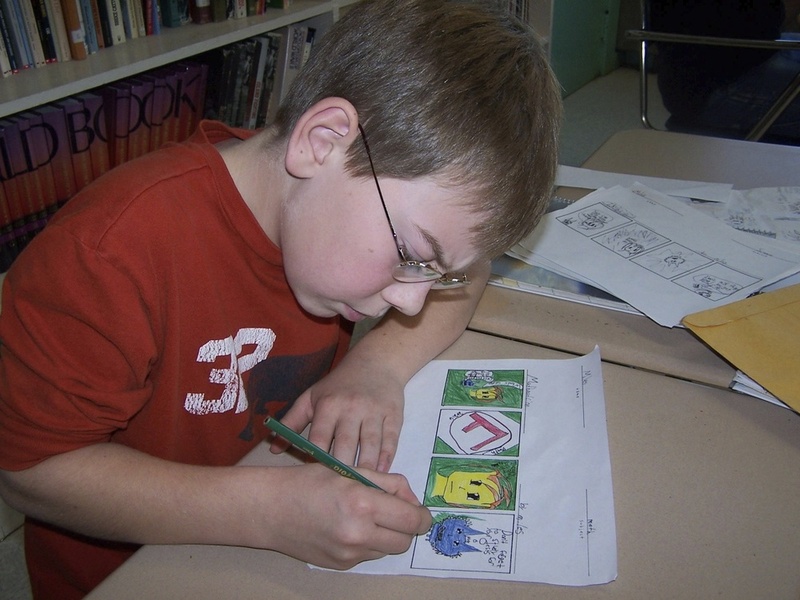 Nancy Seibert Horizons Math - Cartooning math concepts in humorous interpretations. 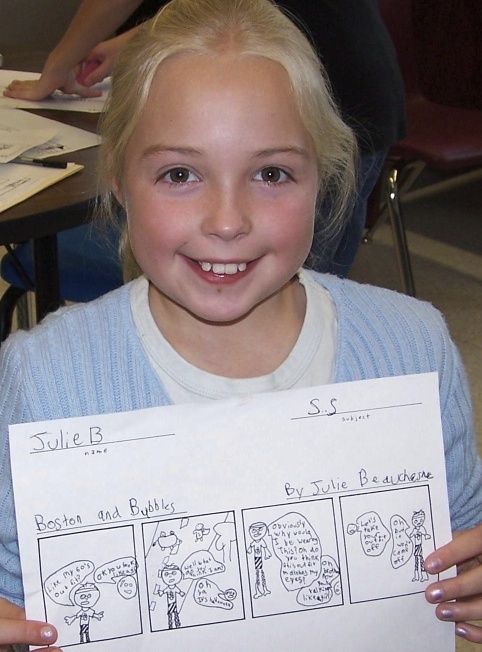 Students developed their own cartoon character to use throughout the year in Social Studies, Math, Science or Language arts. Students developed a comic strip. Kindergarten students work with artist Antonia Munroe to create a colorful and tactile mural of the alphabet. The mural installation is used as a resource for teaching the ABC's to wondrous kindergarteners! 3rd graders incorporating local history, worked together to create 10 large mosaic tiles that become a permanent display at RES West. PMAG – Calligraphy, bookmaking and poetry merged as artists helped students put together a finished work of their own creation, in every way. 4th Grade – Artist Willy Claflin guided students in the creation of a performance at the Strom, demonstrating their scientific knowledge of energy. 3rd-5th health classes see John Burstein (Slim Goodbody) in action at the Strom. Then 4th graders work with “Slim” to write and record their own songs on healthy lifestyle choices which culminated in a CD “Body Boogie”. 5th graders worked with Daniel Sklar in playmaking workshops. The students’ finished plays were performed by local actors and educators. 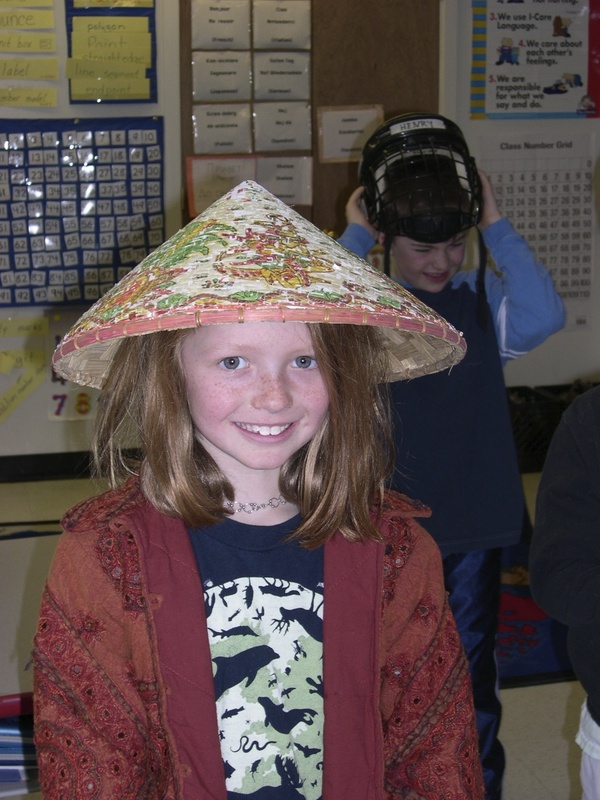 The students learned about literature, character development, theater and language uses. 9th-12th grades. –Introduction of various sports disciplines that are creative as opposed to competitive. A wide variety of artists guided students in sports dance choreography, martial arts disciplines, yoga and tai chi. Youth Arts also helped to sponsor a series of choral workshops at the high school with Gordon Bok. This culminated in an evening performance with Mr. Bok and all the high school choral groups.